Our affordable cleaning services in Mississauga and Oakville provide nothing short of this exceptional level of clean, leaving your home spotless after each and every visit. Since 1992, Sunrise-Cleaning has provided affordable cleaning services in Oakville and Mississauga, and our commitment to cleanliness starts with our dedicated staff. With over 40 maids completing our roster, and 2,000+ satisfied customers (and growing! ), we are confident that our home cleaning services are the best in the residential cleaning industry. Our training process equips our maids with proper techniques for sanitary, hygienic and healthy cleaning. With every job, our maids go above and beyond what is expected of them and produce quality customer service with hygienic results. We work in the old-fashioned European style of cleaning and every single one of our cleaning service employees are insured and bonded. When it comes to Sunrise-Cleaning, our number one goal is customer satisfaction! From arriving equipped with our own supplies to leaving your home spotless after each and every visit, we make cleaning as hassle-free as possible!. Sunrise-Cleaning team supplies everything from mops, rags, vacuum cleaners and cleaning solutions to few tricks of the trade we’ve learned along the way. Most of our products are environmentally friendly; however we can also use conventional cleaners if the situation requires it. The only supplies we do not provide are special cleaners, such as stainless steel cleaner or natural stone cleaner. Our award winning, affordable residential cleaning services in Oakville and Mississauga range from recurring cleaning services, spring cleaning, moving cleaning, one-time cleaning and post renovation cleaning. Our affordable staff always arrives on time and ready to go. Besides punctuality and excellent work ethic, our maids don’t shy away from cleaning up those hard to reach spaces, even moving light furniture to get into those hidden nooks and crannies when necessary!. 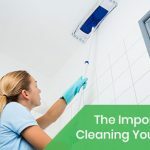 If you’re looking for premium residential cleaning services in Oakville and Mississauga, Sunrise-Cleaning brings superior value of cleanliness to your home with every visit. We’re proud to be accredited by the Better Business Bureau and are a registered provider for housekeeping services with Veterans Affairs Canada. Whatever the size of your home, the severity of the cleaning required or the time you need it by, Sunrise-Cleaning is up to the task! At Sunrise-Cleaning, your mess is our business. It’s a dirty job, but we’re glad to do it! We are a locally owned and operated maid and cleaning service company servicing the town of Oakville and southwest Mississauga since 1995. Flexible arrangements - (weekly, biweekly, monthly, on-call, move in/out cleaning, spring cleaning). Thorough, old-fashioned, European-style cleaning and maid service. Fully personalized cleaning and maid services. Security of fully supervised, insured and bonded maids. Easy payments (Visa, MasterCard, PayPal, checks, cash, email transfers). First Place Diamond award winner of The Oakville Beaver's Readers Selection Awards for the past five years.